The Darkened Rondel Hand Protection assists the LARP warrior in avoiding injury to the hands and fingers during battle. Wield your sword with confidence and deflect the blows of your enemy by combining these bucklers with gauntlets. 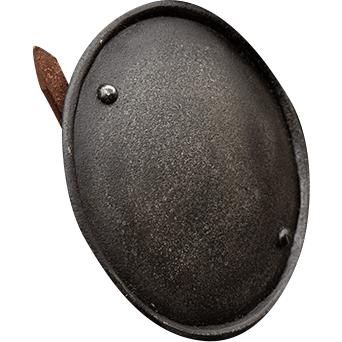 Each round buckler is made from 19-gauge mild steel. An oxidation resistant coating lends it a darker finish. Rivets and rolled edges assist in redirecting the force of an attack. Adjustable buckle straps adjust the fit around each palm. 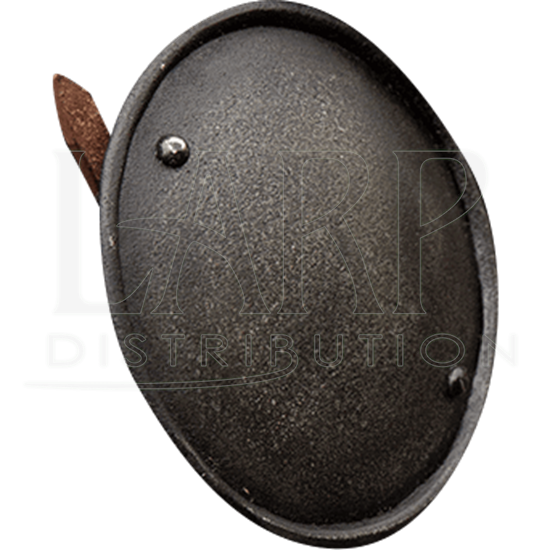 Strengthen your defense on the LARP battlefield with the Darkened Rondel Hand Protection.